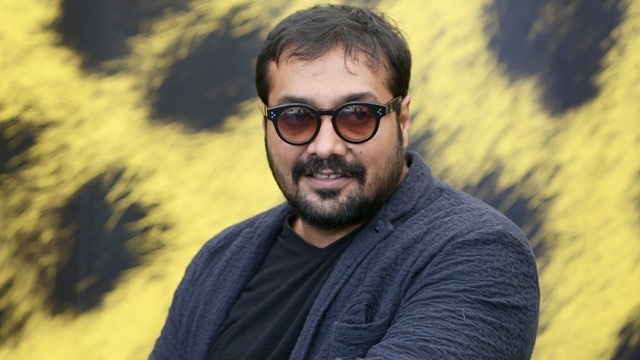 If you know know me well, you know how much I adore Anurag Kashyap. Unarguably the greatest Indian director working today, The director who does everything all other Bollywood director’s don’t do. Inspiration can be clearly seen from legends like Martin Scorsese, David Fincher, Quentin Tarantino etc. in his films. The best thing about him is he takes inspiration from other forms of cinema, but his movies always have the Indian touch, while almost all of the Bollywood is showcasing the city life of India in their films, he is one of those director’s who more focuses on urban life. His first film never got released, till date it hasn’t had official release. Thanks to Indian Censor’s who thought the film was too violent. Well, this is a big problem in India, but that does not affect Kashyap. This film is a flawed film, as being his first, and made in extremely low-budget. Inspired at bit’s from Fight Club, but it is inspired from a real event. This is far from his very best. But still better then couple of his films. Favourite Scene: The killing of the man in his own house. Similar to PAANCH, Black Friday didn’t got it’s release until 3 years after it was planned to be released. Official release it got in 2007. This still arguably known as his best work. 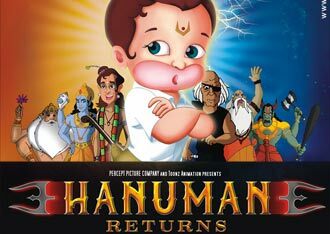 This film literally changed the modern Bollywood. It had such an impact on audiences and filmmakers. No film had shows the true event’s like this did in Bollywood. Using all the real names, right from notorious gangster’s like DAWOOD IBRAHIM. Danny Boyle himself stated that this was an inspiration for him to make SLUMDOG MILLIONAIRE. This is Kashyap’s most personal and honest work. Favourite Scene: Badshah Khan’s struggle (the whole montage) with the epic song “Bhaaram Bham Ke”. A box-office disaster, but it was un justice, as this film was way ahead of it’s time. Tough, movie not earning movie has never affected Kashyap, but No Smoking really deserved more love back then. Inspired by David Lynch style of filmmaking, this might the most experimental film of Anurag Kashyap. It certainly is an extra-ordinary film, which is far ahead of Indian audiences taste. I was 8 year old when this used to come on television, and I always watched it, for me this and Finding Nemo were the two animated films to watch whenever they come, I’m sure we all have that animated film in our childhood. Back then, I didn’t knew it was directed by him, this is one of the very best animated films, and certainly not a cinema Kashyap would again do. It is the most different film in his filmography. The movie by which Kashyap was stated as one of the best director’s in Bollywood. A unique love story, tough I’m not a big fan of love-stories and certainly not the Bollywood one’s but DEV D is at most the only one I love. It is based on the famous novel but set in contemporary India. That itself is a unique idea. Told in Pulp Fiction method, in three different stories of three different character’s. The use of music in the film is like no other Kashyap film. If you want to learn how to use music in the film, this might be one of the finest examples. Favourite Scene: The montage with drugs and song. One month had past since DEV D was released and then came another Kashyap film, this time he choose the genre, at what he is best at, Crime-Drama. This is one of his most powerful films, by this film, it was clear that no one makes crime-drama’s like Kashyap does. It has followed the cult following more than any other Kashyap film. The lyrics of the film had such an deepfull and meaningfull lines, it shows the darker side of politics like no other film does. Favourite Scene: The montage with the song “Koon ke barish”. Kashyap really knows how to make an excellent montage. The film that got 4/4 starts from Roger Ebert himself, tough it is surely one of his weakest film, with a thin plot line and some flaws. But the ending, and the scene in Kalki Kochein house with when men comes in her house and ask for money, that scene is really powerful and showcases the fabulous writing of Kashyap. Favourite Scene: Men in Kalki Kochlin’s house asking for money. There it comes. His magnum opus, this film is In my top 5 of all time, does it need more explanation. Tough picking one favourite Kashyap film atleast for me is very difficult, it is always between this and Black Friday to the least, but I always tend to give this one slight edge. The epic tale which goes right from 1940’s to 2000’s. It was Kashyap’s first film to premier at CANNES DIRECTOR’S FORTNIGHT section and certainly not the last. I think, I will just leave here, it breaks all the rule’s of a Bollywood film, it is 5 hour long, has no big names in it, it is violent, it is full of abusive language, but it has everything in it. Right from crime to revenge to friendship to romance, this film has been given 4/4 on Roger Ebert’s site, is in IMDB top 250, and has been showered with the love of Martin Scorsese. 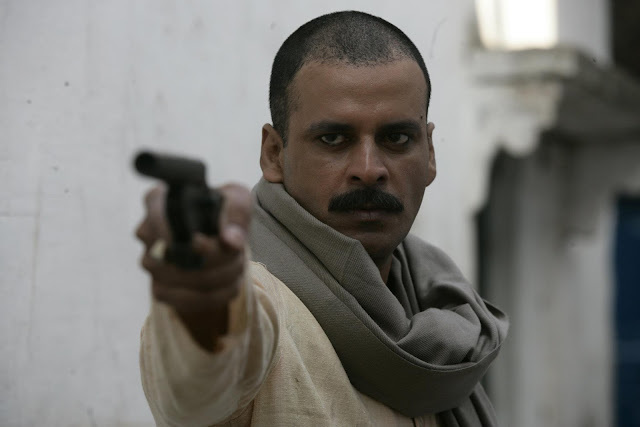 Favourite Scene: It’s hard to pick one, I love the whole film, but it has to be the one when Sardar Khan kills the phelwan in the streets of wasseypur, the one long take. The film that Kashyap stated as his biggest accomplishment, along with Black Friday in an interview. It also went to Cannes Director’s Fortnight section, as Kashyap gave back to back two masterpieces in two years. Inspired by Fargo & Cache in terms of storytelling is really more about something else, then what you see. It is inspired by true event’s, and it such a dark and complex film. It is Kashyap’s most mature work, it shows the ugliness of the human society. Ugly is a film, which is as fresh as it is on the first watch, it is the film which may need couple of viewings, to fully appreciate it. Favourite Scene: The police station scene. Known as his weakest film, and in many ways it is. But it is certainly better then a lot of other Bollywood films. That is what special is about Kashyap. I think this got a lot of unwanted hate, it isn’t a great film, but not an awfully bad film, it has flaws and some thin writing at moments, while all other films strength has been his writing. This is his most ambitious work, and it certainly was, but it dosen’t come near to his best work, but is still quite enjoyable. Favourite Scene: The last shootout in bar. His latest film, also went again too Cannes in the same section like the other two. This film is character driven, an engrossing thriller, which is excellent right from start to end. This is certainly one of my favourites of 2016, one of the finest serial killer films, I’ve seen in recent times. The performances are absolutely just brilliant, especially Nawazuddin Sidiqui. It failed to impress a small portion of critics and audience, but then again it’s Indian mentality, I think after the failure of Bombay Velvet, he showcased all his anger in this film, and crafted one of his very best films. A dark, griddy, complex, thriller. Favourite Scene: The chapter “The Sister”. Hope you enjoyed, my first director’s retrospective. These would be coming more in the future. Please, check his work out, a director who I have been praising for a long time, and probably will forever! DON’T FORGET TO GIVE A FEEDBACK! Personally for me Bombay velvet was certainly atleast a B+. Except the end sequence, there were gems like the Dhadam Dhadam scene, the scene outside the back door where the photographer gets shot and the scenes where Rosie and Johny Fight. It can be tricky to write about Kashyap because most critics don't give him enough credit as an adept creator of mood given that it is usually much easier to talk about the plot. Kashyap's films are uniquely re-watchable because of the mood he creates unlike most films where once you know the plot, the film becomes exhausted. 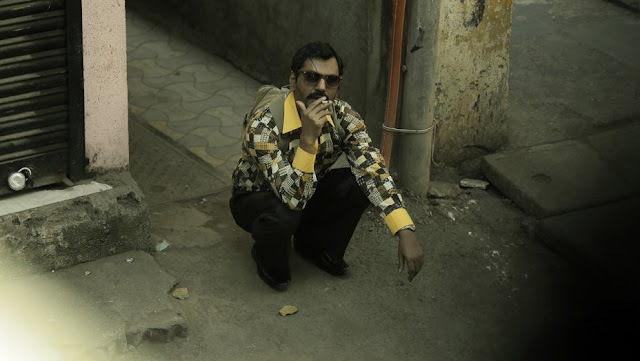 Kashyap likes to tell stories in an inherently excessive way whereby even the last few minutes of a film can have many new characters being introduced (Wasseypur 2). Velvet did certainly loose its plot to external forces but its mood remains intact and poetic. Is there a better ode to the city?